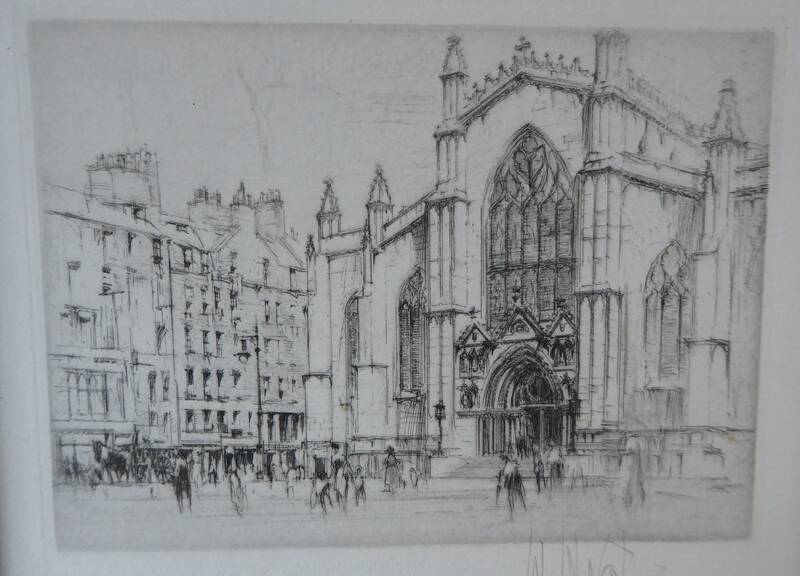 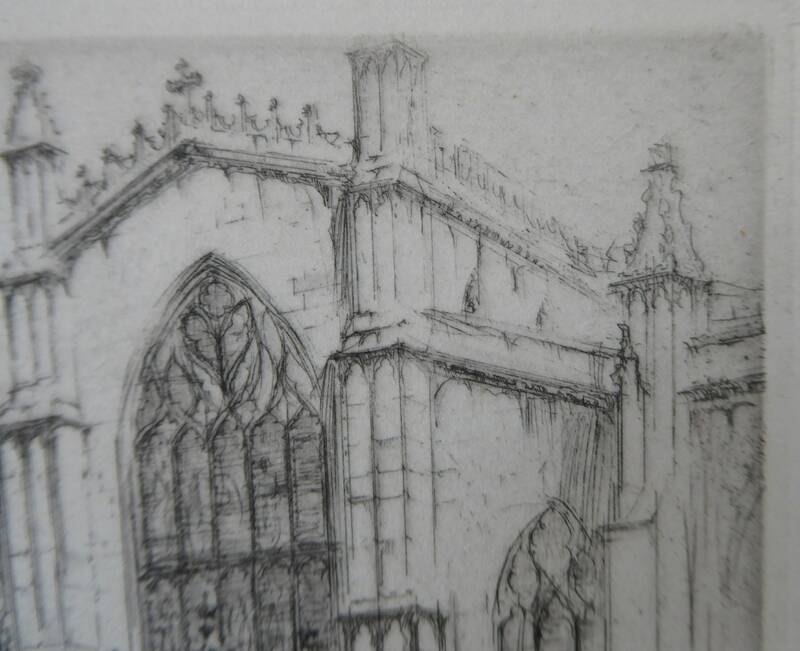 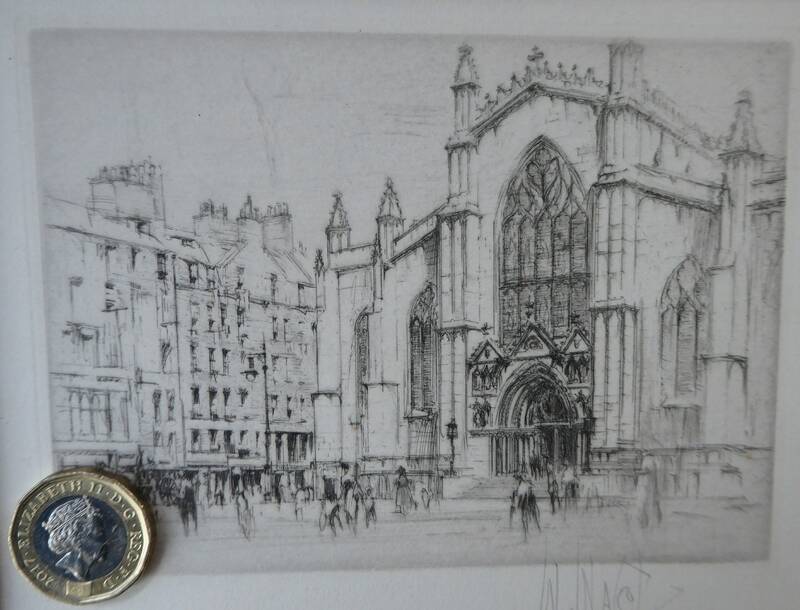 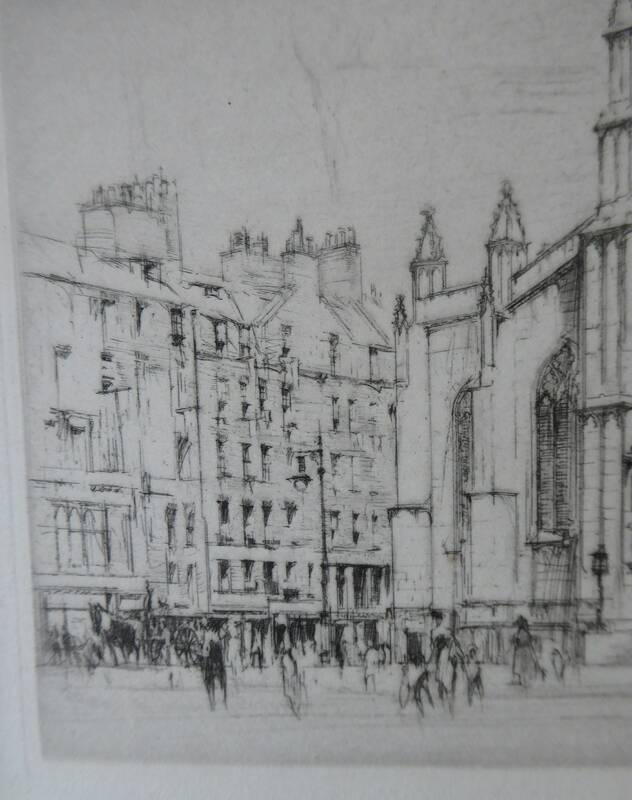 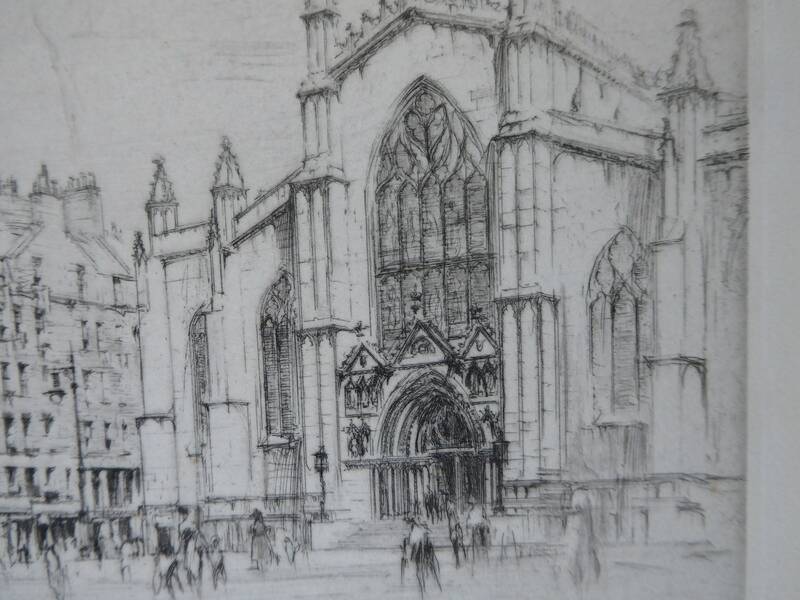 This little gem of an etching shows the doorway to the historic church on Edinburgh's Royal Mil - St Giles Cathedral. 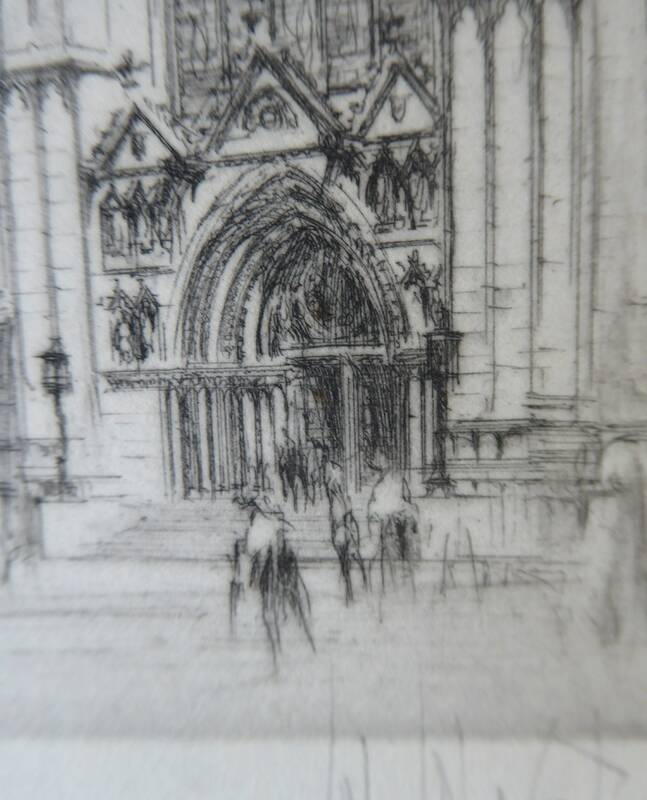 Walcot has shown entrance facade to the Cathedral and in front is Parliament Square. 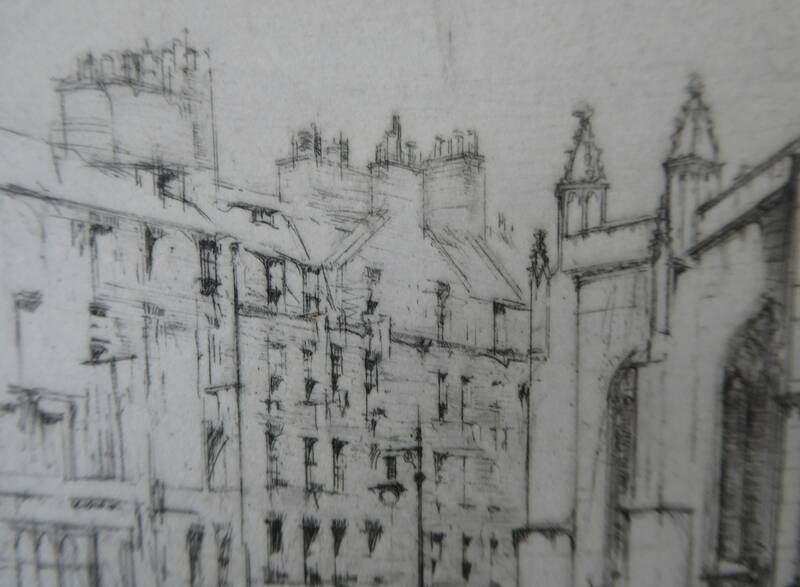 To the extreme left you can see the tall tenement buildings on the Royal Mile. 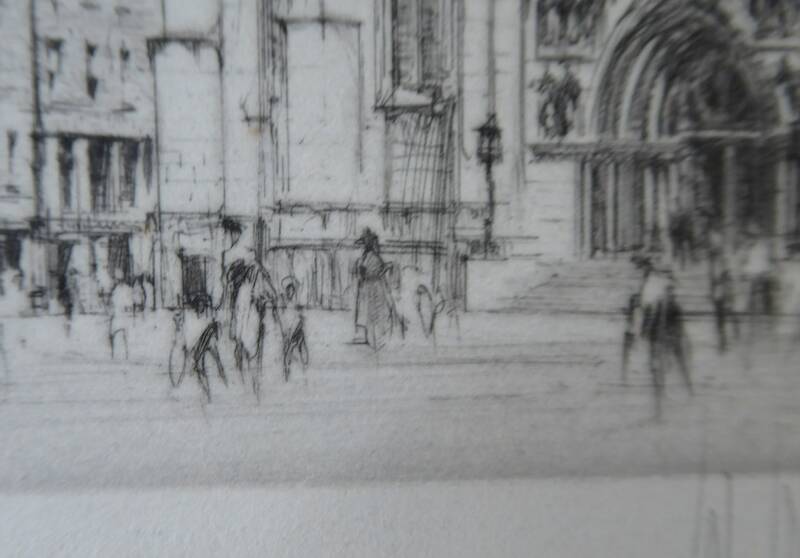 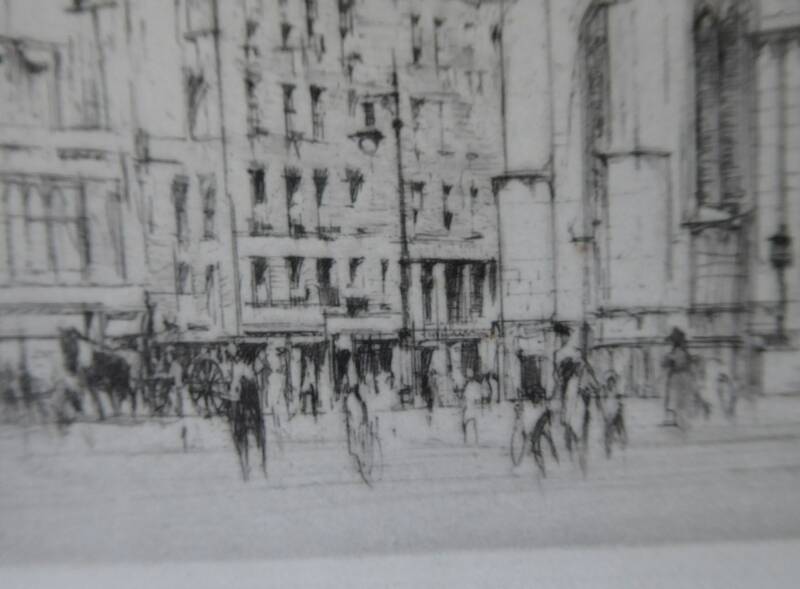 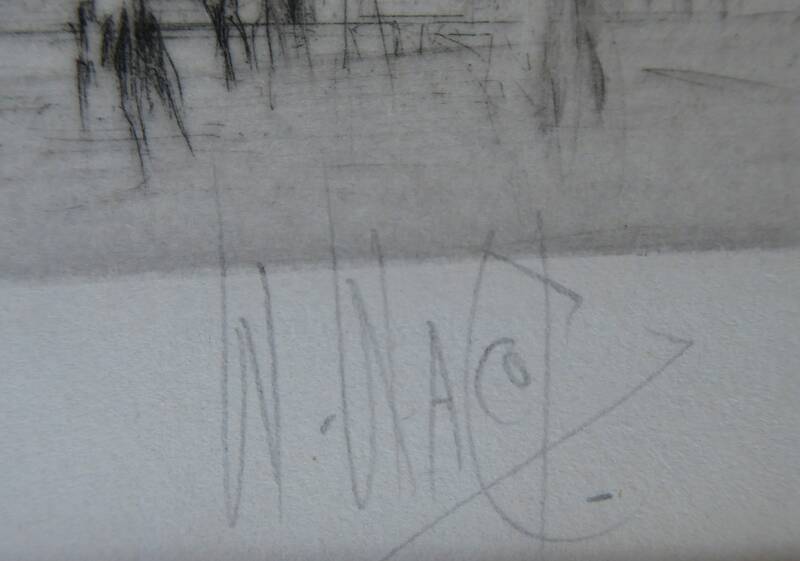 Walcot likes to populate his images with lots of little people running about and just being busy - this print is no exception - the little figures give a sense of scale to the scene and a feeling of movement.